INDIANAPOLIS -- An Indianapolis CrossFit gym closed its doors Wednesday after intense backlash over a canceled pride-themed workout. 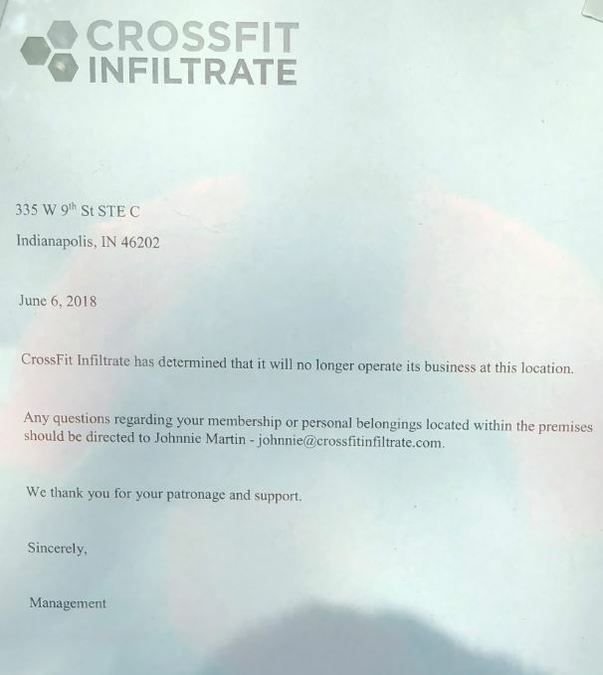 A note left on the door by the management of CrossFit Infiltrate, located on W. 9th Street along the Indy Canal, says they will "no longer operate" at the current location. Several workers and members left the gym Wednesday after the gym's owner, Brandon Lowe, sent an email out this week canceling a pride-themed workout. Lowe's email said the goal of the gym is total health and well-being of the individual and the community. It went on to say, "We believe that true health forever can only be found within humility - not pride." Lowe sent RTV6 a statement about the cancellation of the workout, saying, in part "The gym has a history of welcoming and serving people training to be fit." and "The gym never has and never will be anything but welcoming to all human beings who live, move and breathe and God's world." 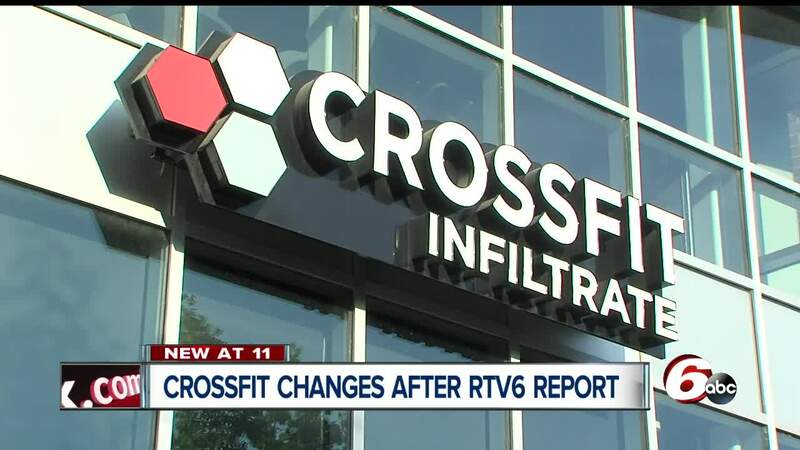 Following an RTV6 story about the canceled workout, CrossFit Chief Knowledge Officer Russell Berger tweeted early Wednesday that he encouraged the gym's decision to refuse to hold the workouts, and thanked them for standing by their convictions and "refusing to celebrate sin." That tweet along with others Berger sent to clarify his stance has since been deleted. The company sent a message a short time later saying Berger was placed on "unpaid leave" while management "completes a thorough review." Berger was then fired. CrossFit founder and CEO Greg Glassman told Buzzfeed News that he didn't stand by Berger's views. The letter on the business' door says members with questions about their membership or personal belongings inside the business can contact Johnnie Martin at johnnie@crossfitinfiltrate.com. Some employees have rescheduled the planned workout. It will now happen Thursday at 8 p.m. on the St. Clair Bridge on the canal. It's open to the entire community. The gym's owner, Brandon Lowe, canceled the workout, saying "We believe that true health forever can only be found within humility - not pride." Many people cancel their membership, instead planning a pride-themed workout Thursday at 8 p.m.
CrossFit Chief Knowledge Officer Russell Berger tweets his support for the decision to end the workouts, thanking the gym for standing by their convictions and "refusing to celebrate sin." Many people on social media expressed outrage at his comments. Berger is placed on unpaid leave by CrossFit while his conduct is reviewed. A couple hours after he was placed on leave, Berger was fired by CrossFit. The Indianapolis CrossFit Infiltrate location closes with a note on the door.